In the vaguely distant future, God exists and his name is Q – in reference to the Quantinuum (né: everything). It turns out reality is a small neighborhood populated by many planets with many aliens. Media plays a big role in the management of this universal village and a pretty face with a nice smile goes a long way in keeping the peace. Perky D-cup breasts don’t hurt either. Creena Hersh AKA “Bewilder” leads a team of hyper-natural individuals with the goal of protecting the Quantinuum from bad people. It all sounds cosmic and esoteric, especially considering that the abilities of the team are clever and inventive (sometimes). For instance, the character know as Thinkwell wields a dark advanced mathematical force which manipulates the laws of quantum mechanics. Unfortunately, the potential to create something truly strange and fascinating is squandered on fitting all these imaginative elements into a box you could fairly label “superhero team up” or more facetiously “Avenger Assemble” (replete with pseudo-brushed steel/marble logo design). The branding is spot on as this will appease the fan with an appetite for sci-fi superhero adventure. But the discerning reader will probably conclude that Boom! Studios’ Hypernaturals #1 is yet another meat and potatoes comic. The book opens Hollywood style. A big bad – and conveniently talkative – villain is introduced. Throw in some robots for punching and a few explosions to distract from the exposition. Add in some techno talk for flavor and serve immediately. Once that’s out of the way, things get more compelling. The team has been defeated and the public is on edge. The story now becomes largely a public relations issue complicated by internal relations. This is the book’s greatest strength as the tension and pressure is made clear and tangible via smart dialog. 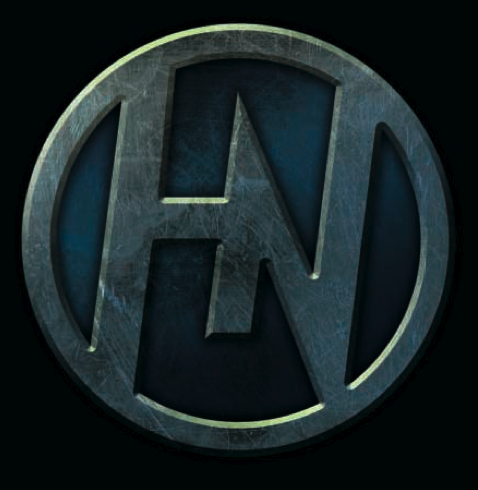 The challenge that the main characters now face is having to quickly assemble a new team of hypernaturals in order to appease the public. But this means putting rookies in a dire and delicate situation. Mistakes will be made and that’s genuinely interesting. All of this is inter-cut with scenes of a drunken ex-hyper. It’s suggested that he will be recruited to help, but he’s a liability in more ways than one. It’s a well constructed setup but nothing we haven’t seen several times already. Hypernaturals #1 is a traditional sci-fi superhero story with some flashing lights added on for a bit of dazzle. Example: The last few pages of the book are an interview with Hersh. Cool huh? Except that it’s designed in a magazine format. Magazines are dead now, let alone in the distant future. The design here could easily have creatively expressed the tone of the setting but instead is a sedate and sober layout. It’s just one of the several “think small and play it safe” symptoms of the book. The pencils also avoid veering off the beaten path. But as far as that goes, it’s strong. The line is generally confident, the designs are relatively diverse and consistent, and the story telling is taut. Art duties are shared by multiple pencilers and inkers and for the most part the transitions are made seamless by assigning different teams to different types of scenes. The coloring by Stephen Downer however often lacks contrast. 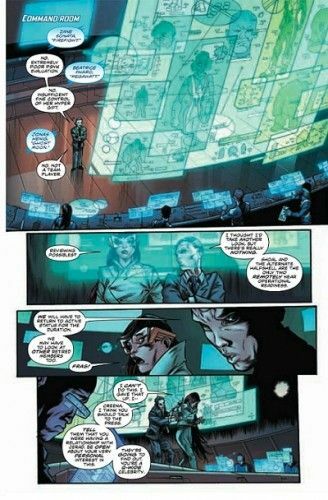 It seems he is going for a cold, futuristic tone but sacrificing clarity in a lot of places, resulting in a sort of “computer screen glow” permeating the pages with blandness. I get the impression it’s an attempt at a cool effect (see The Activity), but it falters here. Looking for a reliably entertaining superhero book? This one is a good bet. But for my money, Hypernaturals is a lost opportunity. Placing a rote story in a setting begging for an exploratory narrative is a disappointment. The best I can say of this comic is that it’s appropriate for the market. I can’t blame the creative team for that, only my personal taste or perhaps the market. I struggled to get through this book myself. The opener with the typical chatty villian and filler dialogue had me a little tired pretty quick. Really sad to hear this about this book. I had really high hopes for it. I still may check it out, but if it really is how you say, I may have to pass on future issues. Are ya freakin kidding me? yeah yeah in a distant future GOD is NOT real, but humans discover some kind of power that they call the force. Then, then there are some humans who can use this force to do good deeds. They are called Jet-I Humanoids! Man I’m good. BUT then there are some bad guys who can use the force for evil and they call it their darker side! Our story begins with our main charachter Dirk Valer who has taken over earth and has ousted the rebelious alliencers!